Castles are one of the most prominent national monuments in Romania and some are so widely recognized that their fame echoes around the world. 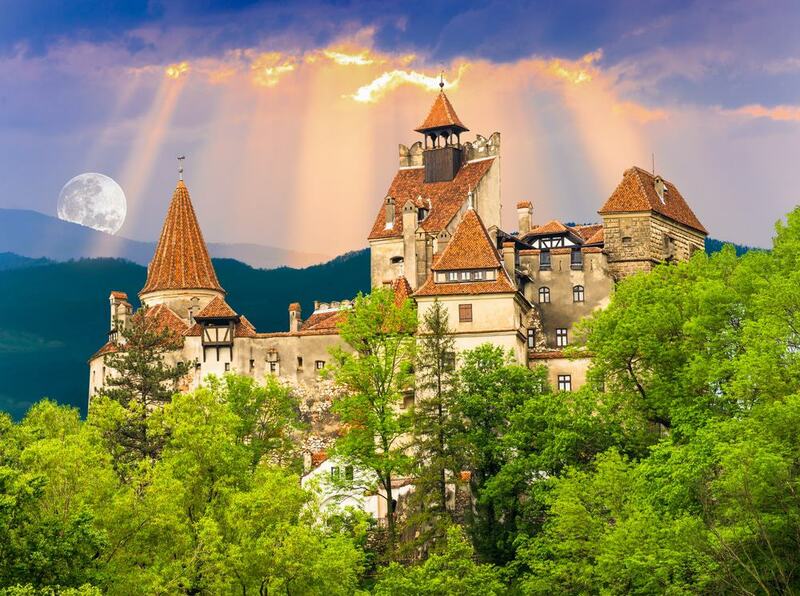 These are, of course, the castles associated with the infamous region of Transylvania and the stories about Count Dracula. Nevertheless, there are many more castles in the country and each is as unique as the other. While the majority are located in Central Romania, there are castles all over the country. Interestingly enough, Romania has plenty of fortified churches too and these form an important part of the cultural heritage. Moreover, many of them look more like castles than churches due to being fortified thus you can expect to find many surprising architectural structures throughout the country. 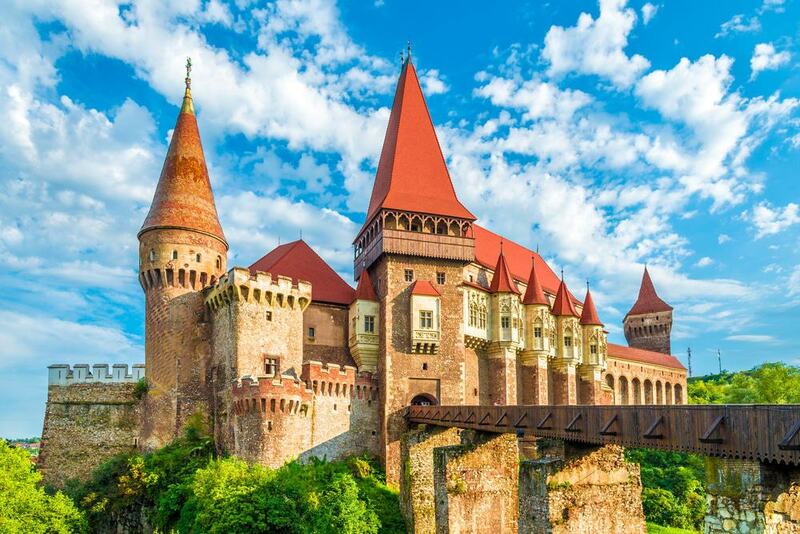 Here are 15 of the best castles in Romania. Bran Castle, without a doubt, is the most popular castle not only in Romania but one of the most widely-recognised castles in Europe and the world. Often associated with the infamous Dracula, no real, historically-proven links exist tying the two together. Sitting on a former Teutonic Knight stronghold, which dates back to the early 13th century, Bran Castle first appeared in written documents towards the end of the 14th century, in 1377. Rising an impressive 2500 feet above the sea level and overlooking the surrounding landscape, Bran Castle commands the area around the village of Bran. The dominant features of Bran Castle are its many red-tiled towers and turrets that not only look impressive, but also a little mysterious and even spooky rising above the thick forest scenery enclosing the castle. No visit to the Romanian region of Transylvania would be complete without visiting one of its most prominent castles – Corvin Castle. Famous in its native Romania as well as worldwide, Corvin Castle has gained most of its fame with being associated with Dracula. The castle’s impressive and eerie appearance is mostly due to its imposing structure complete with tall towers and adjacent turrets. Until the mid-14th century Corvin Castle served as a fortress, afterwards becoming the residence for Transylvania’s voivode Iancu de Hunedoara. Designed in Gothic-Renaissance style, the castle was built at the very end of the Middle Ages, and Corvin Castle is one of the largest in Europe. 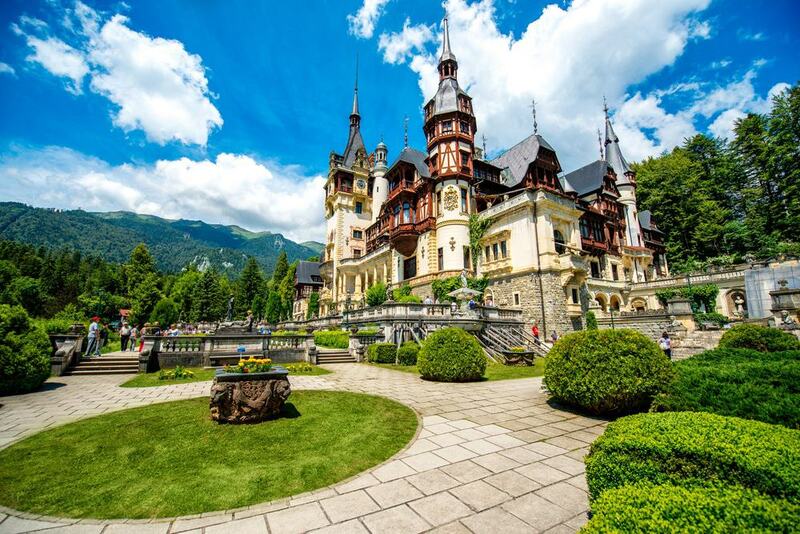 The striking Peleș Castle was built in Neo-Renaissance style with the construction of the castle starting late in the 19th century, in 1873. 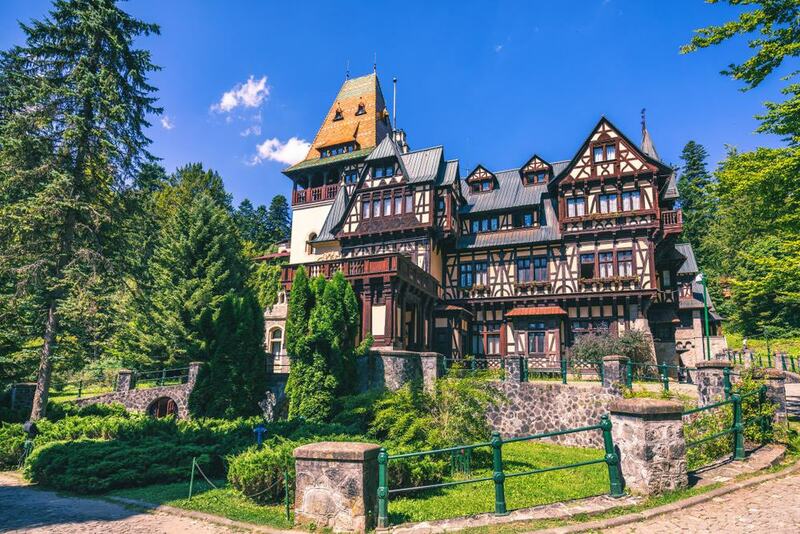 Visitors from far and wide are attracted to the castle not only because of its undeniable charm, but also due to the fact that Peleș Castle is located in the awe-inspiring Carpathian Mountains that are some of the most beautiful in all Europe. The castle is a part of a complex that also consists of Pelișor Castle, and the Foișor Hunting Lodge. The building of the castle began after King Carol I of Romania first visited the region and was completely taken back by its striking appeal. The castle complex originally was intended to serve as a hunting and summer retreat. Pelișor Castle stands out with its unique design both in Romanian and European context. Designed by a Czech architect, the castle represents Art Nouveau style. Interestingly, King Ferdinand’s consort Queen Marie didn’t want the castle to only feature Art Nouveau elements and thus Byzantine and even Celtic features were added creating a completely unique look. The turn of the century castle was built at the very beginning of the 20th century. The castle has 99 rooms, which is less than in Peleș Castle, but the number is still rather impressive considering the size of the castle. Many of the rooms, including the reception room, are covered in oak timber, a personal preference of Queen Marie’s. The castle served as a summer residence for the royals. Săvârșin Castle is a Neoclassical style country house located on a 6.5 hectare private estate in Săvârșin Park. Once belonging to King Michael I of Romania this was the official country residence of the royal family. The castle is surrounded by a stunning arboretum with exceptional natural examples of plants, flowers, and birds. 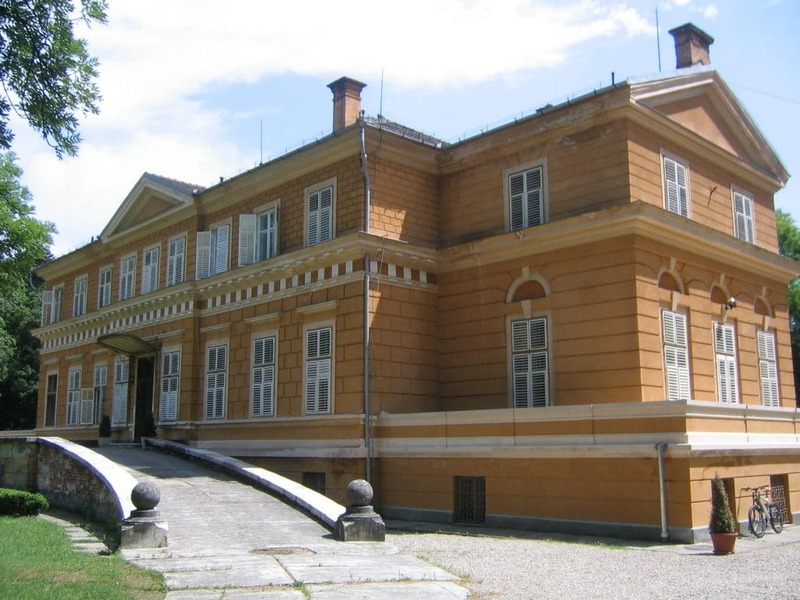 The current mansion dates back to the late 19th century, however, a previous royal building stood there for at least three centuries before that belonged mostly to Hungarian noble families. The history of the castle is rather tumultuous as it had succumbed both to the communist regime and also a demolishing fire. Sturdza Castle or Sturdza Palace is a historic complex that consists of the palace, a church, and a monastery park. Located in Northeast Romania, Sturdza Palace as it is seen today dates back to the 19th century when it was built in late Neo Gothic style. The castle once used to hold an impressive collection of cultural artefacts – books, paintings and other art pieces, jewels etc. Unfortunately, just like with many castles in the country and Europe altogether, most of it fell in despair under the communist rule, when Russian troops swept through the country. Located in Central Romania, Făgăraș Citadel or Făgăraș Fortress is an excellent example of medieval defensive architecture. Built in the 14th century, Făgăraș Citadel was constructed on the site of a previous wooden fortress. A few centuries later, when the fortress was enlarged, it was considered one of the largest structures in the Transylvanian region. As a typical example of medieval defensive architecture the Făgăraș Citadel featured a moat, a bridge over it, which was the only entry point to the castle, as well as several towers. 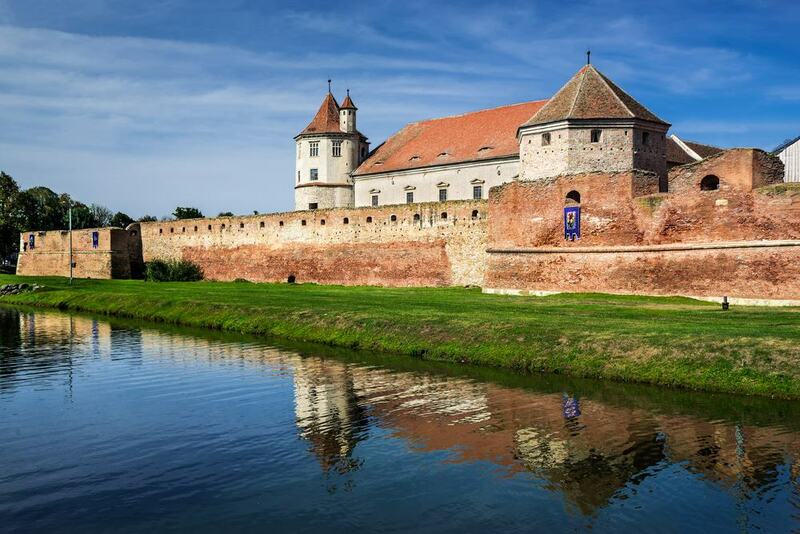 Despite being a fortification, Făgăraș Citadel used to be rather luxurious in its time as it was the residence for several prominent figures like Transylvanian Prince Gabriel Bethlen and George I Rákóczi, and their families. Today the castle is a popular attraction for visitors as both the interior and exterior are open for viewings, and the castle boasts beautiful halls, inner courtyard, and restored underground passages. 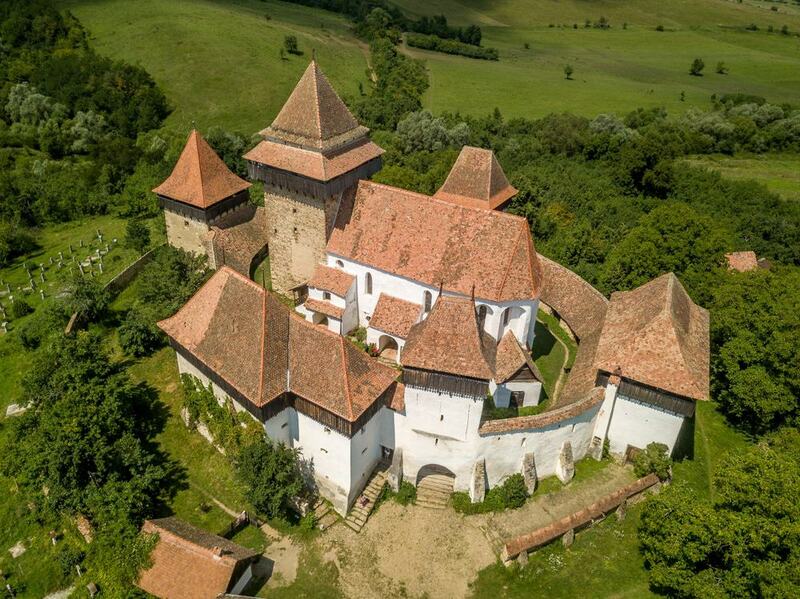 Jidvei Castle is a beautiful French Renaissance style castle located in Central Romania. Built in the 16th century, the castle was restored in the later centuries when Baroque elements were added thus creating an eclectic mix of styles and decor. 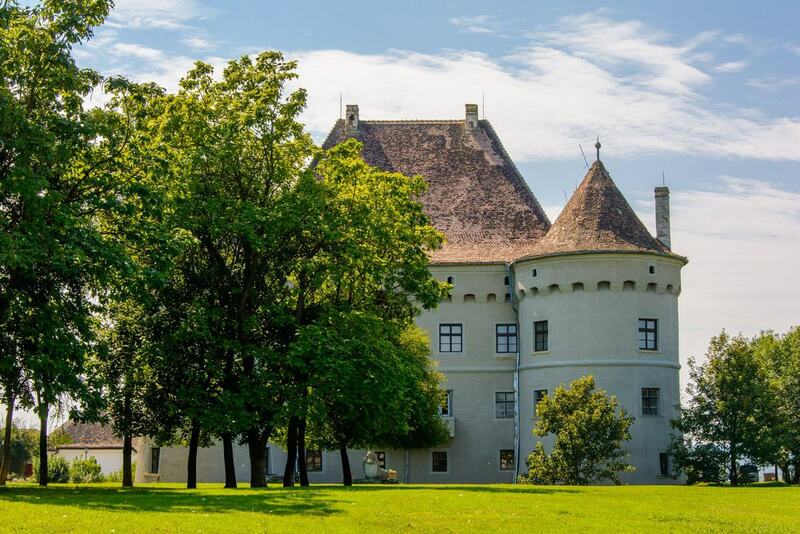 Its quaint appearance together with the beautiful surroundings and views of the village, Jidvei Castle is one of the most romantic and magical castles in the country. The castle’s large round distinct towers are one of the main features that resemble the aforementioned French architectural style. Nowadays Jidvei Castle is known for its winemaking and impressive wine cellars. Râșnov Citadel is one of the most dramatically-located Romanian castles boasting impressive views that centuries ago would have discouraged enemies from trying to attack it. 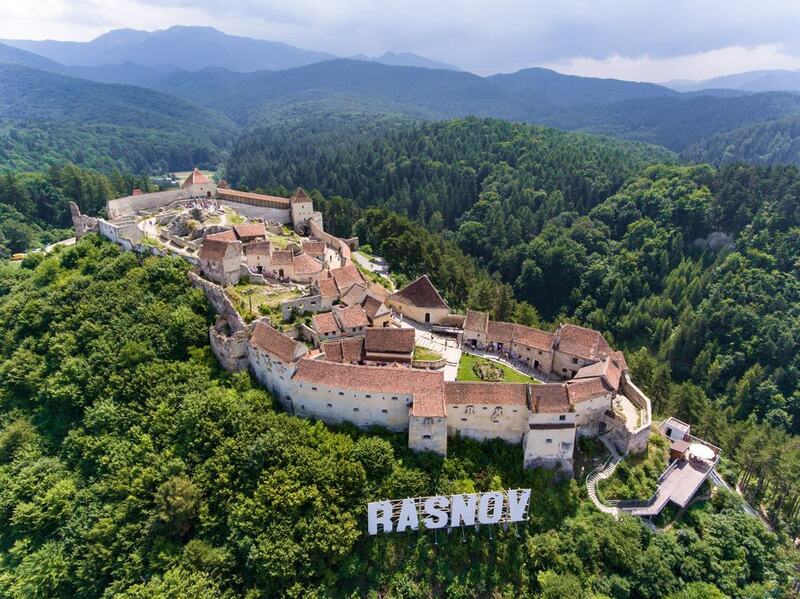 Located in Central Romania, Râșnov was built as a part of a larger defensive system for the villages in the Transylvania region. Historic digs have revealed that this particular location had seen a fortress on it long before the current structure was built. The current medieval fortress was built in the 13th century and it is speculated that it had direct links with the Teutonic Order. In the early-to-mid 15th century the castle was besieged for the first time by the Ottoman armies. In the early 18th century, regrettably, the fortress was damaged by a fire and surprisingly a century later – an earthquake. The citadel features two courts, and all sides except the Eastern side are protected by steep cliffs, which are near impossible to climb thus creating an excellent defensive element. There is a certain image that comes to mind when we hear the word “church” but in the case of Romania, many of its fortified churches actually resemble castles more than classic churches. And the reason for it really is embedded in the word “fortified”. It wasn’t uncommon to see fortified churches during the Middle Ages at times of unrest, when the church held prominent power over the majority of the lands. Biertan Fortified Church is a Lutheran church that was built between the 15th and 16th centuries in Biertan in Central Romania. The current church was built on the site of an earlier Romanesque church. The fortification of the church took place during a time of threat by the Ottoman army which caused unrest in all of Europe. The whole of town was bearing arms and thus the church was fortified. These fortifications include three rows of exterior fortifications, gate towers, and a wooden battlement. 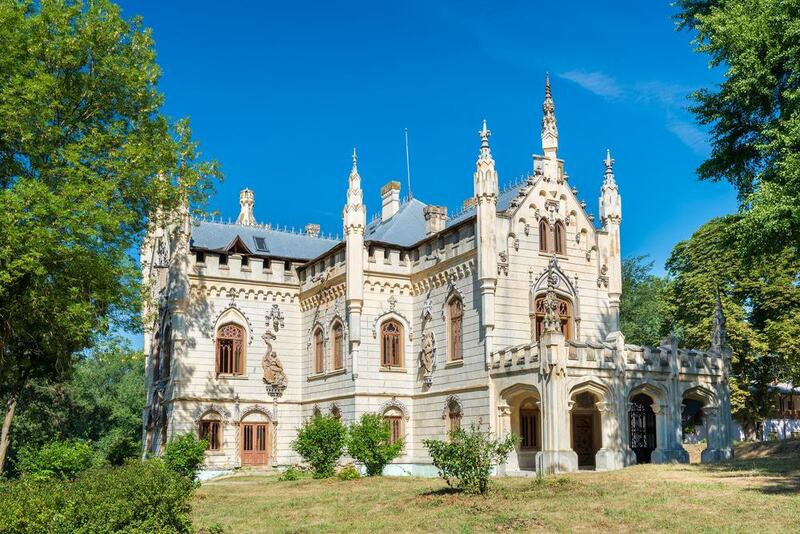 Not far from Bucharest, mere 10 kilometers in distance, lies Mogoșoaia Palace which was built between the 17th and the 18th centuries and represents the wealth and prominence of some of the greatest families in all of Romania. 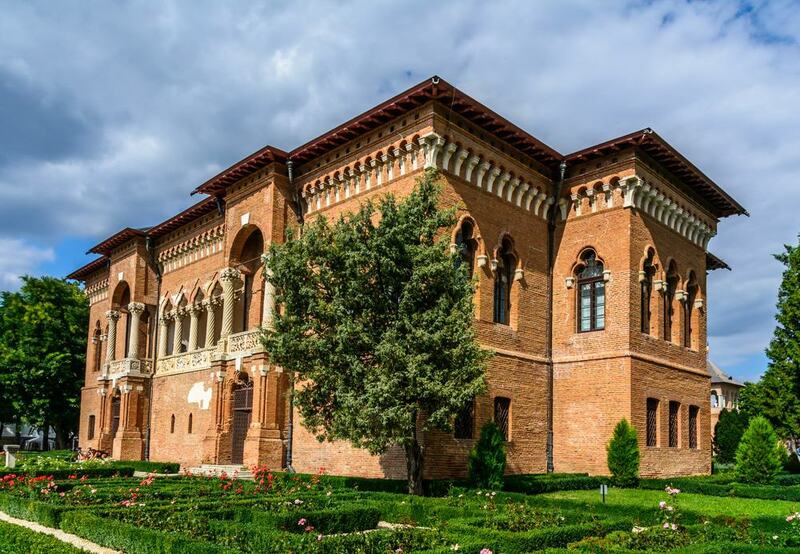 Surrounded by vast gardens, the palace exudes romantic and charming elegance that differs from other castles around the country as the majority represent the uneasy medieval times and unrest. During its time it served as an important location for politicians to come together and discuss nationwide matters. The exterior of the palace is dominated by columns and arcades, signature for the Brâncovanian style. 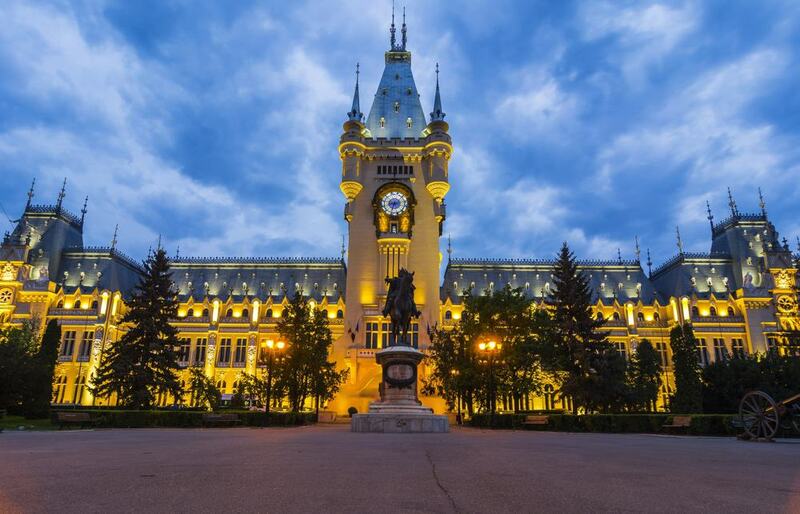 Undeniably magical and charming, Palace of Culture could easily be something out of a fairytale yet it stands proudly in the city of Iași. The Neo-Gothic palace was built in the early years of the 20th century and it was the Administrative and Justice Palace until 1955. The Palace of Culture has an impressive number of 298 rooms – all spacious and rather majestic. The interiors are incredible examples of imaginative and artful decorative style. There is a room dedicated to Romanian voivods. Nowadays the palace houses several museums, including the Museum of Science and Technology, Museum of Art, and Museum of Ethnography. 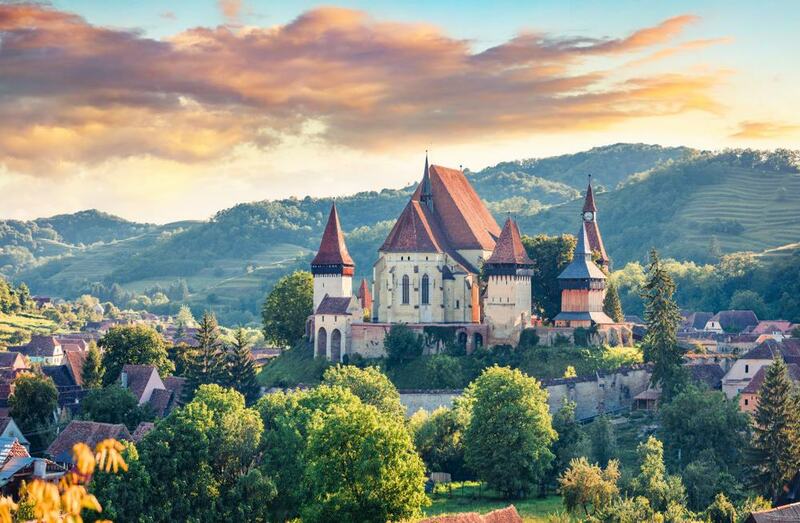 Another prominent fortified church in Romania is the Viscri Fortified Church in Brasov County. Built around the 13th century, the fortified church used to belong to the catholic church but later changed to being lutheran. The first fortifications were built around the chapel. Complete with protective towers and bastions, this fortified church does actually resemble a typical medieval castle than it does a church. Interestingly, this particular church has straight ceilings even though the majority of other gothic churches feature vaulted ceilings and this is because this particular church was built much earlier. 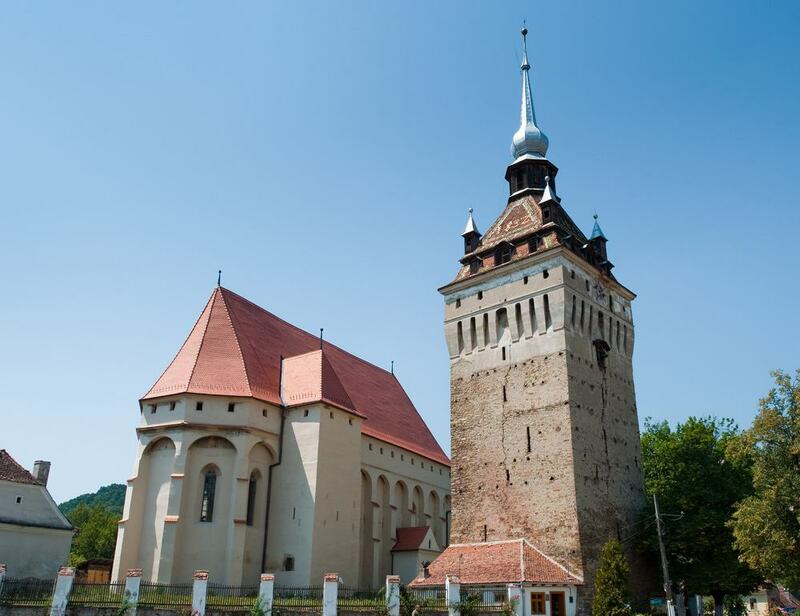 Built by the ethnic German Transylvanian Saxon community, the Saschiz fortified church was built at the end of the 15th century and dedicated to Stephen I of Hungary. The church was originally surrounded by an impressive defensive wall and there was once a defensive citadel nearby on a hill to protect the inhabitants of the town alongside the church. However, to this day only remains endure. Unlike many other fortified churches that stand somewhere in the middle between a castle architectural design and a church thus not really fitting into either box, the Saschiz fortified church is magnificent in the fact that its defensive structures don’t disrupt the church aesthetic. 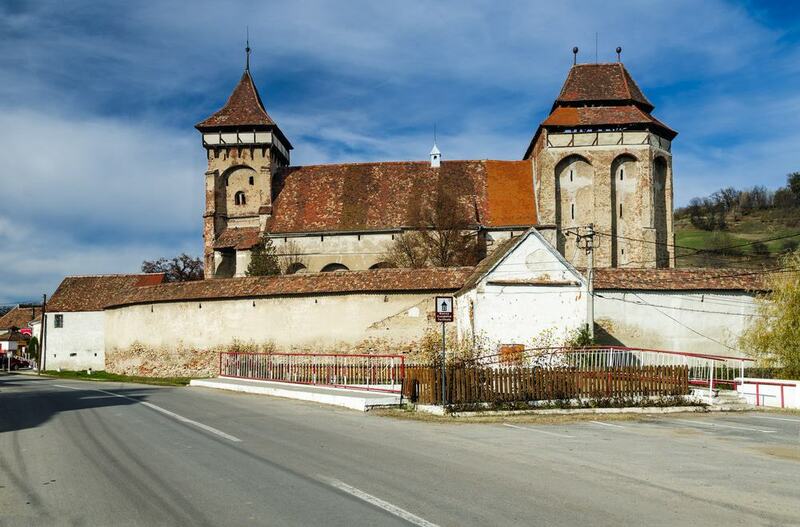 A part of the same group as the aforementioned churches, the Valea Viilor church is also among the impressive fortified churches in Transylvania. Built between the 14th and the 16th centuries, the current structure was erected atop of a former church. Several modifications were made throughout the century to ensure that the structure is up-to-date with the latest necessary fortification elements. In front of both entrances there were protective towers built and a portcullis. There are also three bastions, all of which have survived to this day.